Practical Life is one of the things that sets Montessori apart from traditional school. 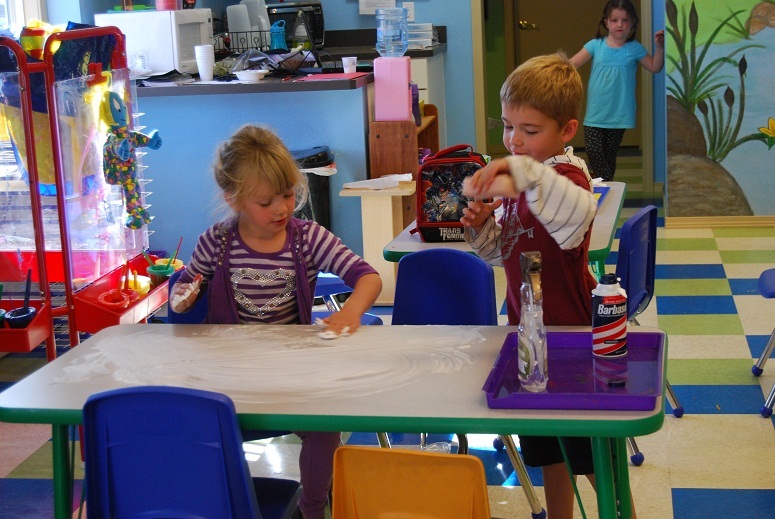 In a Montessori prepared environment the teacher carefully chooses activities to place on the shelves for the children to practice and eventually master. The practical life shelves consist of “works” that foster independence in practical life skills and fine motor development. By teaching a child to serve food by themselves they are learning grace, hospitality and courtesy at a young age. slicing, chopping, peeling, spooning, transferring, tonging, dusting, polishing, sewing, cleaning, stirring, mixing, sweeping, serving, dressing skills, animal care, hammering, care of self, care of plants, care of animals and pouring. 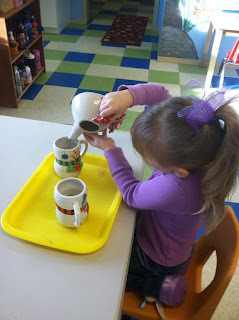 The practical life shelves in the classroom can bring the most joy to a child. All of the practical life shelves in my classroom are theme based and carefully planned to flow into extension activities. The young child will naturally gravitate to practical life shelves. 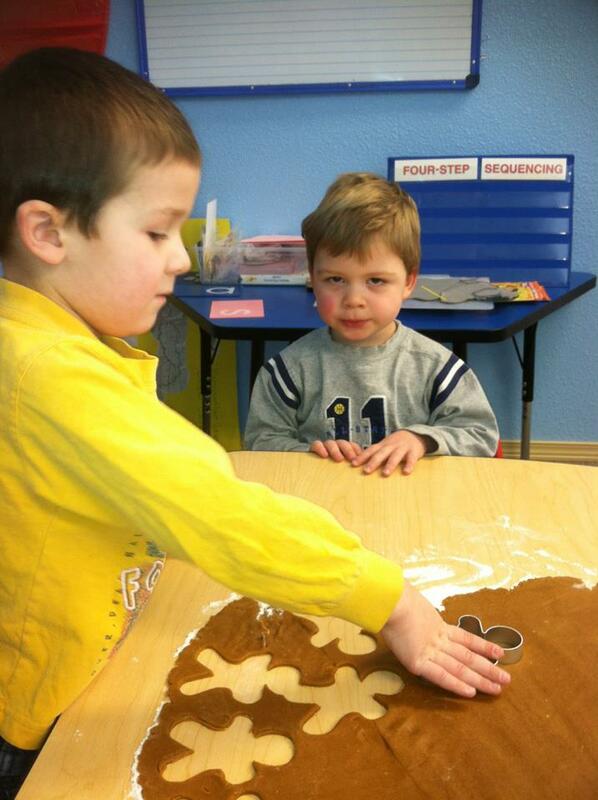 It is exciting for children to have meaningful work just like mom and dad. As new works are introduced and rotated often it sparks new interest in the child. 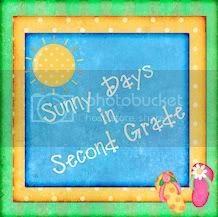 Many of the practical life lessons are sequential and build up to mastery. 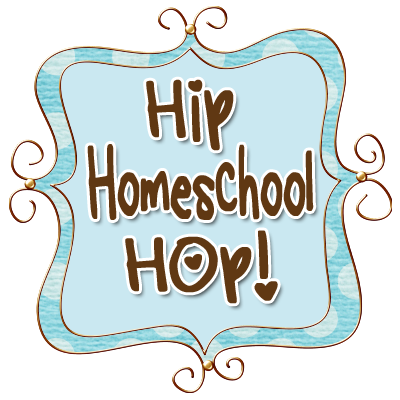 These activities are not only fun and educational for the child but it also helps develop a great sense of pride in accomplishment. 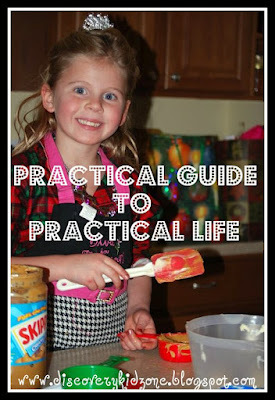 The practical life skills will stay with them for life. 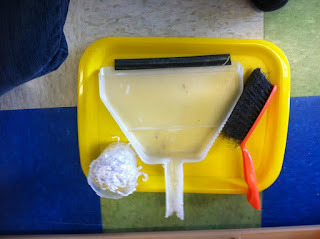 Here are some of the works we have out right now in our classroom. Because most of my practical life works are theme based I am only going to show you a few now and you will see more as they are introduced with new themes. This is a slicing work we have out on our shelf right now. 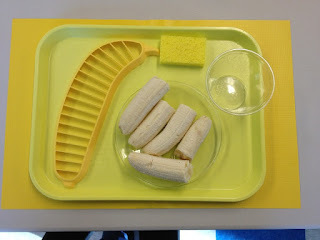 The children slice the banana, then place it the bowl. They then place toothpicks in the slices and serve the banana pieces. This is a carrot peeling work. 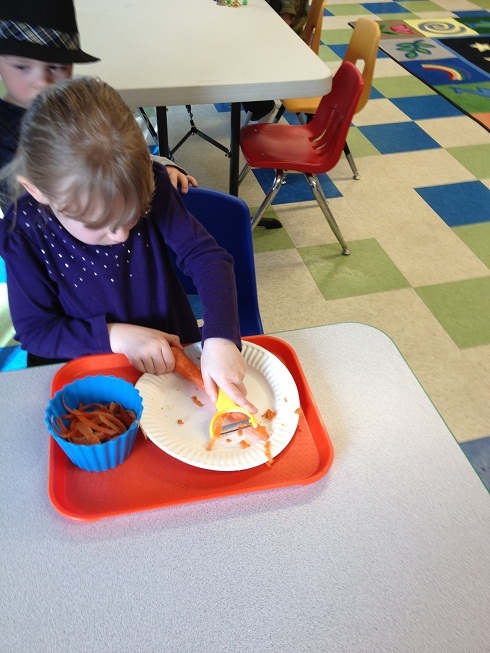 Usually I have 2 kids working together one is peeling the carrots and one is chopping the carrots. The one who is chopping the carrots will then serve the children at the snack table a little silicone muffin cup filled with carrot slices. Carrot chopping fosters hand eye coordination, concentration and fine motor skills. Care of plants. 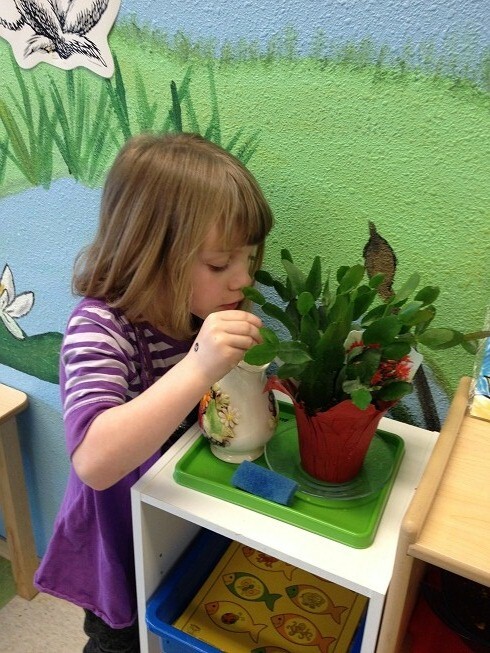 In this work the children are responsible for taking care of the living plants in our class. I also do this at home with my own children. They feed the plants just enough water, clean the leaves and remove dead leaves and flowers when necessary. 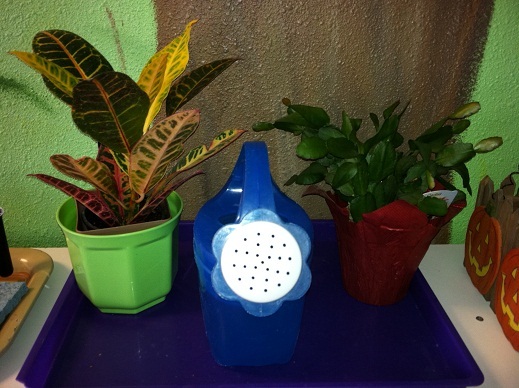 This produces a great sense of responsibility and care for the environment. 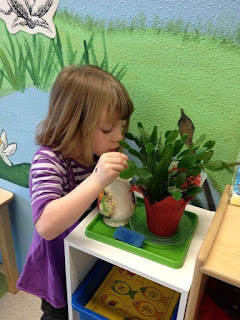 They are very good about noticing when a plant needs care and attention. I do not even have to remind them! Sewing. 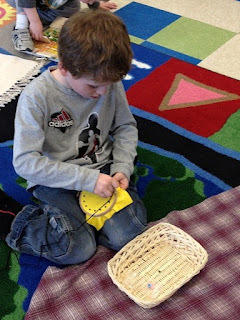 Sewing is one activity that is definitely sequential and produces fabulous results. This is step one after the child learns to thread a needle they learn the basic step of lacing and the movement it requires. After they have mastered this step they move on to the next 4 steps of sewing until they eventually sew their very own doll!! Even the boys love the sewing works. 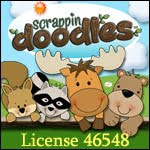 It helps with fine motor skills, concentration and self independence. Care of self. This is one of our dressing boards found at discount school supply. Care of self is also another sequential set of activities. We have several dressing boards that are the basic steps to tying, zippers, lacing, buttons and snaps. 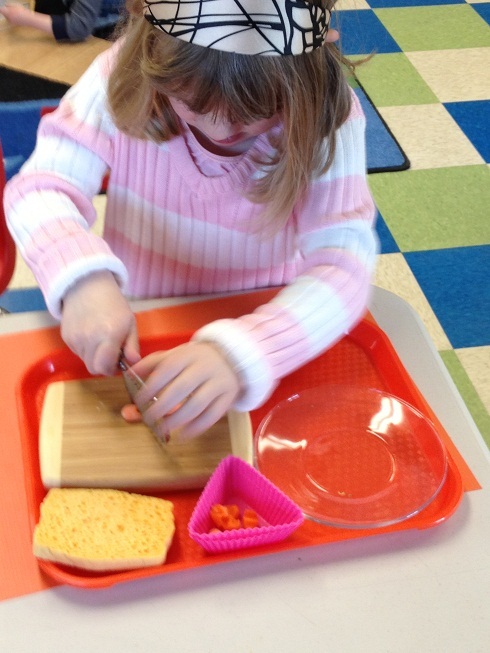 Once they have mastered the boards they move on to dress up items to practice more. Finally, they practice on them self and have usually mastered the concept at this point. 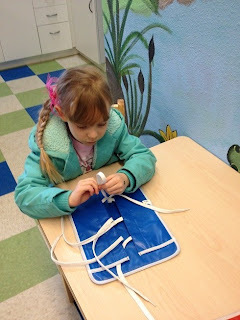 We have charts to keep track of when a child has mastered a new care of self skill and they children a excited to have their names on those charts. Care of animals. In our classroom we have a guinea pig, fish and tadpoles. The helpers are responsible for feeding and caring for the animals. The children love taking care of our animals and watching them grow. 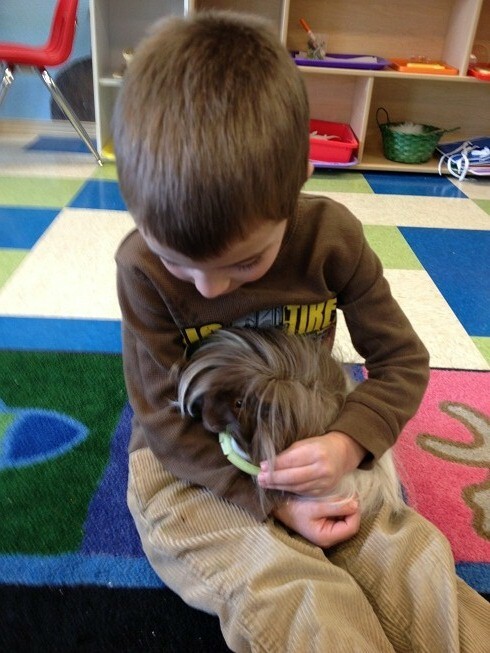 Here is a picture of a little boy feeding "Roxie" a piece of celery. He is giggling with delight. Care for the classroom. We have trays out on the shelves that allow the kids to clean the classroom. This one is a table cleaning work with shaving cream and water. They love this work! Cooking. 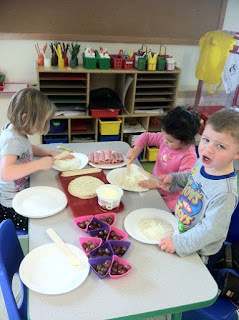 We do many cooking activities. 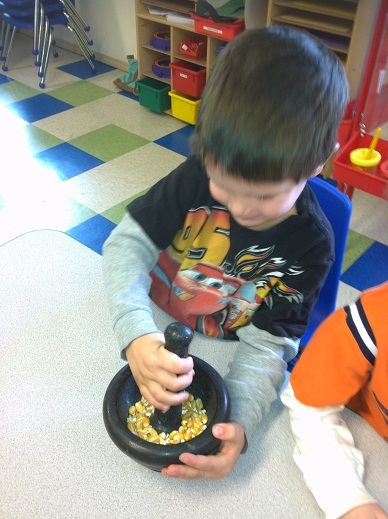 This is one where the children grind corn to make cornmeal. 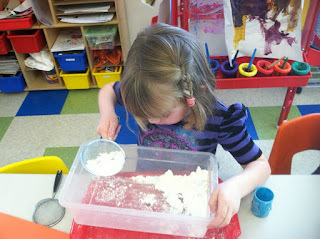 We use the cornmeal to make cornbread muffins! Preparing snack. 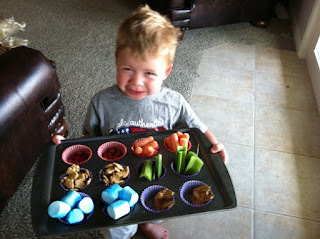 We have snack out family style and the children prepare their own snacks. Here they are practicing spreading by spreading cream cheese on tortillas to make meat and tortilla roll ups. 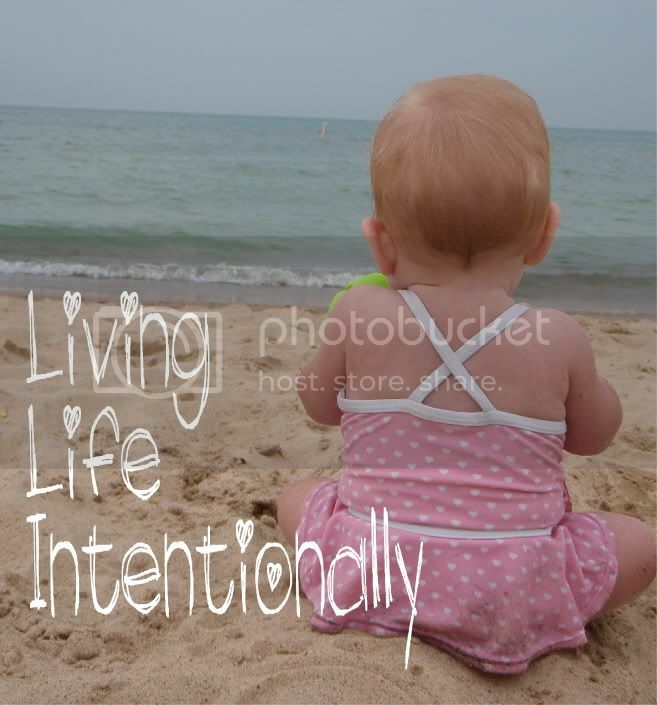 Through out the year I will post more about our practical life activities. 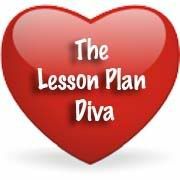 I love teaching children how to read and understand math but practical life and social skills in the classroom and at home I believe are equally important! Looks like they're having heaps of fun - I'm a scaredy when it comes to kids with sharp things... but I guess they have to learn eventually! Thanks for posting this! 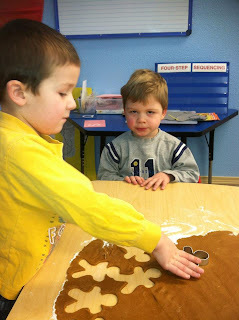 It is so great to see all the wonderful things children can do for themselves when they are given the freedom to do it. I've never seen such a thing as a bannana slicer - how cool! 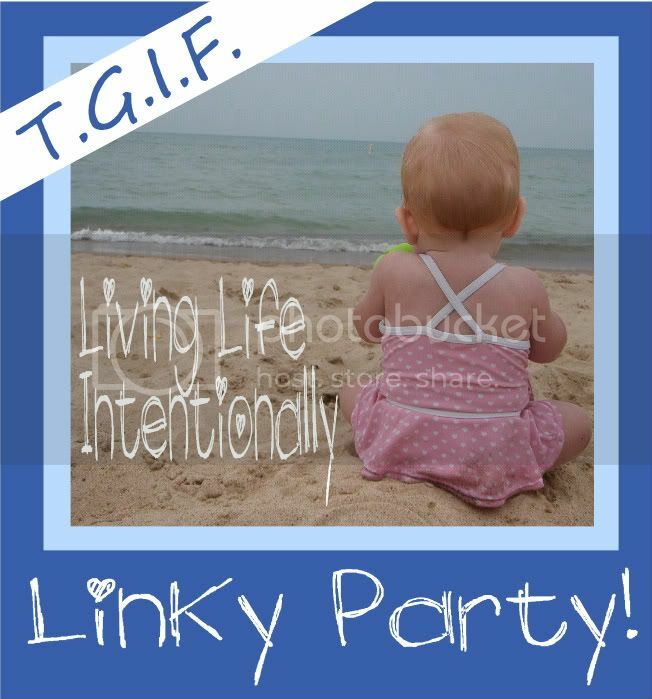 Thanks for linking up to TGIF! See you tomorrow!